Disclaimer: the information in this guide has been sourced from the CPD Standards published by the NMBA on 14 February 2014. Information was accurate at time of publication however readers are advised to check the Nursing and Midwifery Board of Australia website for the latest updates. Is CPD Mandatory for all Nurses and Midwives? Do All Forms of Education Count As CPD? Is My Employer Responsible for My CPD? What Am I Required to Document? How Is This Being Enforced? Only education that directly relates to your context of practice can be counted as CPD, including mandatory training. Both formal activities such as attending in-service training, conferences or seminars, and self-directed activities such as online CPD, lectures, videos et cetera are considered acceptable modes of learning. Remember, all nurses and midwives are responsible for determining what they need to learn and for managing and undertaking their own CPD activities. No, CPD is the responsibility of the nurse or midwife, not the responsibility of their employer. Some workplaces offer educational opportunities for their staff, however these activities may not relate to all employees' context of practice. Nurses and midwives must keep written documentation of CPD that demonstrates evidence of completion of a minimum of 20 hours of CPD per year. Certificates of attendance alone are not considered adequate documentation. This guide will show you how to document your CPD correctly. The Board’s role includes monitoring the competence of nurses and midwives; the Board will therefore conduct an annual audit of a number of nurses and midwives registered in Australia. All CPD must relate to your context of practice. CPD hours are accrued in line with the amount of time a nurse or midwife spends learning. The NMBA has published a list of frequently asked questions on their website, Click here to view it. The CPD year starts on 1 June each year and ends on 31 May of the following year. Please note: the CPD calculation tool available on this page is intended to provide guidance only. The resulting CPD hour calculations are relevant to Australian regulations and recommendations. The calculation is based on the information you provided in response to the above questions. 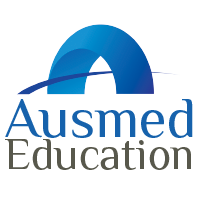 Ausmed advises any nurse or midwife unsure about their individual circumstances to contact the Nursing and Midwifery Board of Australia.